Before you begin recruiting for employees, you need to develop a job description that describes the tasks and responsibilities of a position. It also specifies the job title, reporting structure, knowledge, skills, abilities necessary to be successful at the position plus the reporting structure, physical requirements, qualifications needed. Job descriptions guide you to make informed hiring decisions. A nondiscriminatory job description is also important to keep you out of legal hot water and develop recruiting strategies that clearly outline to applicants the role and responsibilities of the position. It’s a great recruiting tool. Job descriptions are important for regulatory reasons as well. They can help with a Workers Compensation claim to avoid similar injuries in the future. Job descriptions can also help you determine light duty work so that an injured employee can make a contribution to your business while recovering. Being able to work light duty makes them feel like a part of her team rather than sitting at home watching ads for attorneys on TV. A well-crafted and compliant employee handbook is a valuable tool for making sure your staff understands their obligations and responsibilities in the workplace. Unless you run a business with just your sister and a nephew, you need an employee handbook. 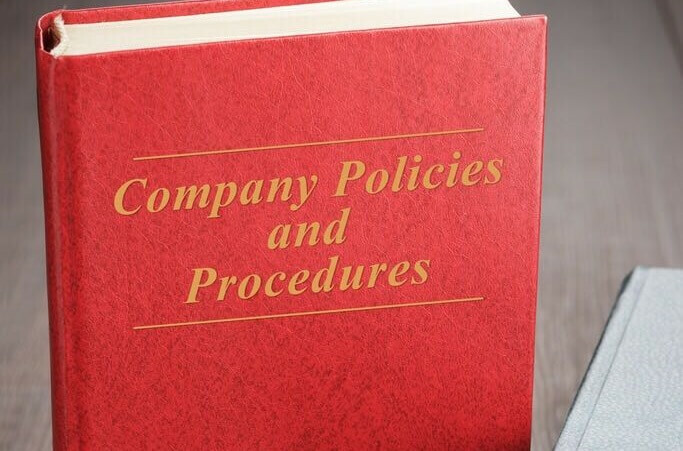 It ensures that employees know about company guidelines, procedures and benefits and sets expectations about performance and conduct, addresses routine questions, and satisfies legal and regulatory requirements. Employment policies includes nondiscrimination policies to reduce potential litigation concerns and establish an understanding about what behaviors you will and won’t accept. If you only have a few employees, it may seem unnecessary to create formal policies, but maintaining legal compliance and setting standards and expectations can avoid problems in the future. A clear communications policy is important in the current technological environment. Do you provide your employees with laptops, cell phones and other devices? Do you really know how those devices are being used? How often are your employees using company equipment to surf the net, make personal phone calls, store photos, text friends or post on social media? Clear rules on company technology usage can avoid problems later. An employee complaint resolution policy and process provides a constructive way to voice concerns. While employees appreciate the chance to be heard, they can also address conflicts you might not otherwise have known about, allowing you to manage workplace distractions. You may not want to think about a day when an employee comes to you with a grievance; however, it will happen. Employees need to know whom to talk to and how to handle a complaint or grievance. An important section of your handbook is the mandated policy for responding to complaints, where you outline the steps employees should take prior to filing a complaint, identify a qualified contact person and contact information, and explain how complaints are investigated and handled. A handbook also enables you to address issues that may crop up in the future. It is a flexible document; you can add or revise policies as needed. You may encounter new workplace issues, e.g. how to accrue paid time off or manage social media changes. You’ll need to create policies that answer those questions uniformly. This helps manage small conflicts before they become big ones. Your handbook should be reviewed every two years just to make sure that all policies are current. Employee files are very important to your company. You should start a file for each employee on the date of hire. Most, but not all, documents relating to employment should be kept in your employees’ files. If you’re not sure what should be placed in an employee file, now is the time to find out. However, some documents should not be kept in employee files, because they could lead to lawsuits or legal fines and penalties. If you use an electronic filing system, you need to think about security. Do you know all the right questions to ask to make sure that your files are protected? Also, with all of the potential uses and potential viewers of your employee records, you need to make sure that all information in employee files is factual and unbiased. Are you and your managers trained as to what you should and shouldn’t write in the notes, because all are discoverable in court if entered into an employee file. HRCoastal can provide customized employment forms you need to help your start up business or turn your start up into an established business that demonstrates professionalism. Maybe you need support auditing your files to make sure that they would pass a DOL inspection? HRCoastal can audit your files and protect your business from regulatory and tort risk.